After having sat buried in sand at the bottom of the sea off the Arabian Peninsula for over half a millennium, researchers have revealed what they believe to be one of the oldest navigational tools of its kind. The astonishingly rare mariner's astrolabe would have once helped legendary Portuguese explorers navigate the treacherous trade route from Europe to the spice markets of India during the Age of Discovery. The item was confirmed as researchers worked their way through the shipwreck of the Esmeralda, discovered in 2013 off the coast of Oman. Dating to 1503, it is the earliest ship ever found from the Age of Discovery, a period of time in which many European nations sent out explorers to traverse the high seas. The Esmeralda belonged to the Portuguese, and was part of the famous explorer Vasco de Gama’s fleet. Despite recognizing the object as highly significant in the initial report on the artifacts discovered at the wreck site, the researchers were unsure as to what the disc may have been. Noting that it measured 17.5 centimeters (6.8 inches) in diameter and less than 2 millimeters thick, the surface had been damaged to such a degree that all that could be seen was the very prominent Portuguese coat of arms, and the personal emblem of the King of Portugal at the time, Don Manuel I. 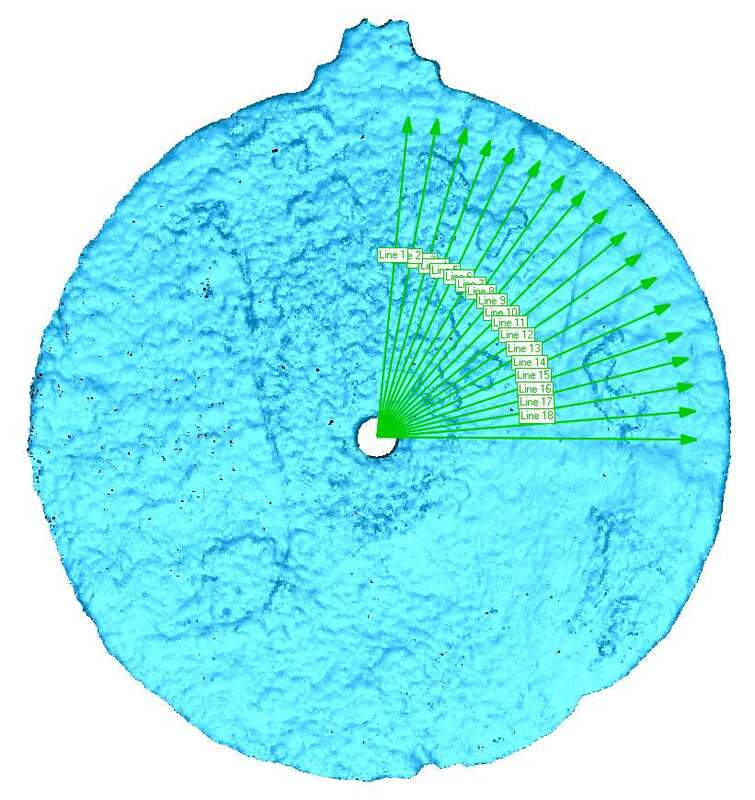 However, by using laser scanning to image the object, the team were able to reveal the incredibly faint remains of etches on the surface of the disc, each separated by 5 degrees, which clearly showed that it would once have been used as an astrolabe. 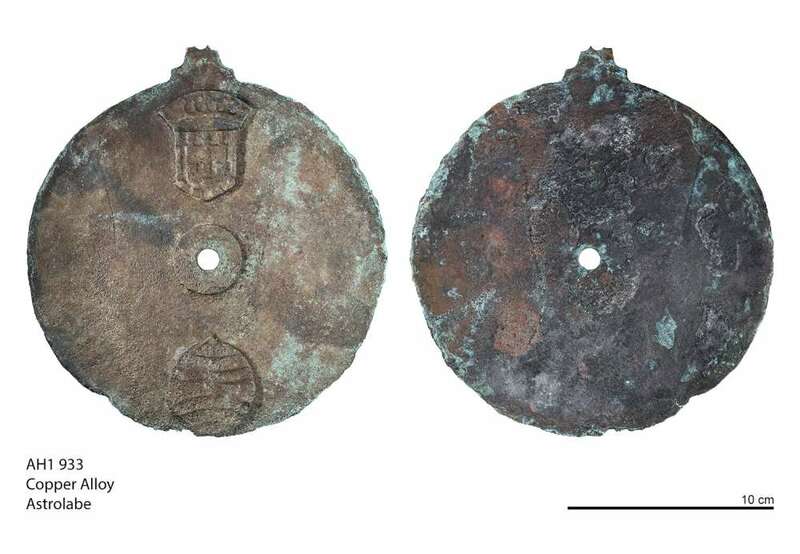 Confirmation of this makes the find rare, not only because it is only the 108th astrolabe known to survive, but also because it is now believed to be the earliest mariner's astrolabe ever found. While the ship it was on is known to have sunk in 1503, it is thought that the instrument dates to at least 1500 and possibly earlier, which according to the researchers pushes the object's history back by decades. The previous oldest known mariner's astrolabe – which is not a true astrolabe but adapted for seafaring – was salvaged from the San Estaban and dated to 1554. The wreck has also yielded many other significant finds, including what they believe is the world’s oldest ship's bell, which while being fractured and missing a small section at the top, is still in astonishing condition considering its age and the exposure it has faced over the last few hundred years at the bottom of the ocean.